One of Marie’s favourite directors brings his latest movie to screens The Third Murder, and fortunately, he doesn’t Film Review: The Third Murder disappoint. Director Kore-eda Hirokazu’s more recent films have been family focused (After the Storm, Like Father Like Son, Our Little Sister) exploring broken relationships and human frailty. With The Third Murder however, Kore-eda has returned to much larger questions of life’s purpose and what it means to be a human being, in the vein of Air Doll and After Life. The film opens with a murder, followed by sweeping drone views of a water-side city. We almost get the feeling that we’re about to watch an American crime drama. But no. Or at least, not quite. We already have our perp. He’s even confessed. Here’s a thing I didn’t realise – Japan still has the death penalty. 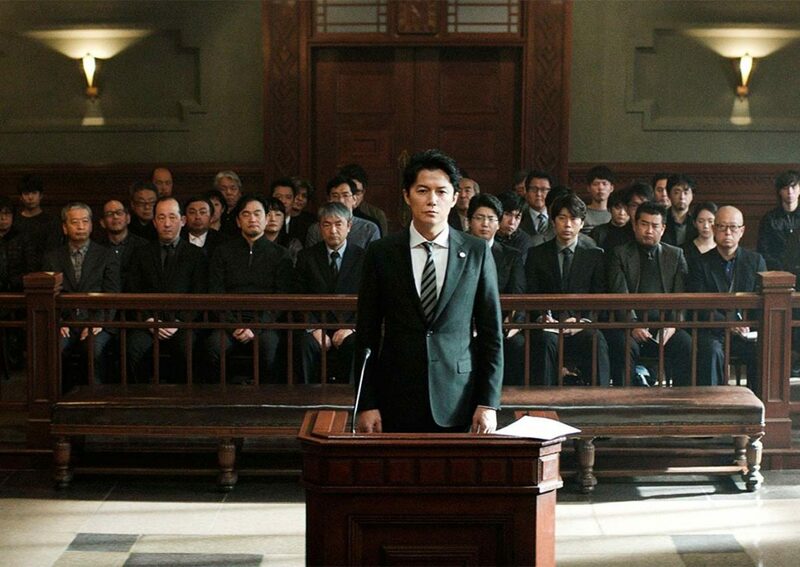 The complexity of how this sentence is applied drives the team of legal brains (led by Shigemori – played by Masaharu Fukuyama) to understand why the prisoner Misumi (Kôji Yakusho) has confessed, what exactly he has confessed to, and why he keeps changing his story. It’s deftly handled by Kore-eda so that we understand just as much as we need to, and we don’t spend the entirety of the film inside a courtroom. As the lies are peeled away and the truth begins to emerge, we start to understand *what* is going on with Misumi, but not necessarily *why*. And as the lawyer Shigemori learns more about his client, Kore-eda and his camera crew shift the view inside the prison visiting room each time so that in the last meeting, some exquisite work sees the faces of the two men almost superimposed on one another. The audience is left to make up its own mind as to exactly how the ending could be interpreted and while I’m fine with this, there are a couple of loose ends that make me wonder if this wasn’t originally a longer film but had to be cut. The storyline around the lead lawyer’s daughter, for example, feels like it’s going to be quite significant until about half way through but then it just disappears, to the point where she was preying on my mind a little. But despite these small niggles, Kore-eda delivers yet again. If you’re not familiar with his work, then this would be a great starting point, and I actively encourage it!